The description sends chills down my spine. It's so creepy when you find out an accident is not one at all. 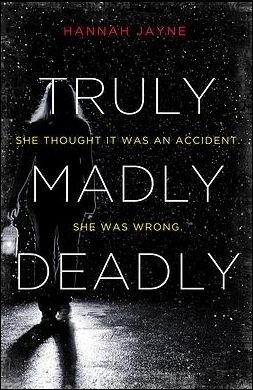 When it comes to mysteries like this, I will be putting it in my TBR list straight-away! I love the title, the tagline of the book and the cover. They're so mysterious and completely suits the story! Oh wow, that sounds like something different! I can't wait for this one either! It sounds so intense and intriguing, just the kind of book I like :D Great pick! Sure we'll follow you back! Thanks for the follow! I just heard about this one this week, it looks so good! I heard of this book a few weeks ago through another WoW post - it looks absolutely fantastic! :) I can't wait for it to be released. This one sends chills down my spine, too; thanks for sharing. Excellent choice, I can't wait for this one either. Sounds so creepy! Oh man, I got chills from that description too! It sounds super intense. Definitely adding it to my TBR list. I'm excited for this one, too. It sounds creepy and I love YA mysteries. The cover does look very fitting. I can't wait to read it. Great pick!